The City of Hudson plows approximately 78 miles of city roadway, 102 cul-de-sacs, and public trails using various types of equipment. Plowing or salting operations begin when road conditions make driving difficult. Time of day, current snow depth, temperature, and forecast all factor into deciding when to start plowing operations. Parking on city streets, alleys, or any public roadway is prohibited following a snowfall of 2" or greater until the roadway has been cleared curb-to-curb. 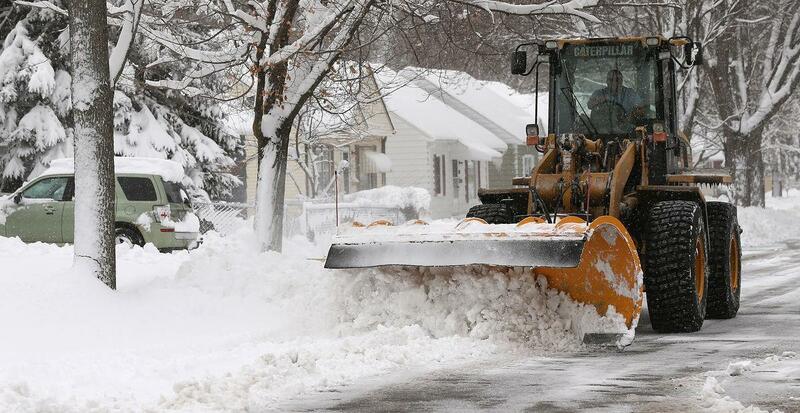 The City of Hudson will issue a snow event notifying residents when to remove their vehicles from the streets. For further information on snow plowing operations please view the Winter Maintenance Policy. Receive notification from the City when a snow plowing event has been declared by following these instructions: In the middle of the main page of the City's web site, click on the NOTIFICATION SIGN-UP button. Follow the instructions in the box labeled NOTIFY ME. To receive the snow event alert, go to the "Alert Center" section and click on the envelope to the left of the words "Snow Event Declared" for email notification, click on the phone for text notification or both to receive notification by both methods. Once finished, a box will appear notifying you that you must confirm the notification sign up by responding to an email sent to the email address you provided. Once the confirmation is made, you should receive notification any time a snow event is declared. If the City receives what appears to be two or more inches of snow and you do not receive a notification, please re-verify that you have properly requested notifications. An extremely limited number of permitted exemptions to the ordinance, with very specific and unique conditions, may be issued by the Director of Public Works and Parks. The details on this permit can be found in the Ordinance above. Again, these permits are issued only in extremely limited cases. The owner or occupant of any lot or parcel shall have the snow and ice removed within 24 hours after the cessation of the snowfall. If the owner or occupant fails to comply with this requirement, the city shall remove the snow or ice and charge the property owner. Failure to pay for these services will result in the costs being placed on the annual tax roll for that property. Only one notice will be given to the property owner per snow season. Following the first notice, the City will clear the sidewalks if the snow has not been removed.